We've built 150+ applications since 2005. Whether you're starting a company or you're a global brand launching an iPhone app, our team can help you out. We’ve worked with over a hundred clients; here are a few examples of projects we’ve delivered in the recent past. Enjoying a water taxi ride is a charmingly quaint way to move around a city. Paper tickets? Still quaint, but decidedly less charming. In 2016, Baltimore Water Taxi operated with an exclusively paper ticketing system, other than accepting credit card payments for sales. Why did you bring SmartLogic in and what problem did they solve for you? We were working on building out a prototype project/idea that required software development expertise. We were comfortable with the hardware and embedded side, but needed some guidance on executing and implementing the user interface. The National Committee for Quality Assurance partnered with SmartLogic to develop the digital platform for the Person Driven Outcomes survey. 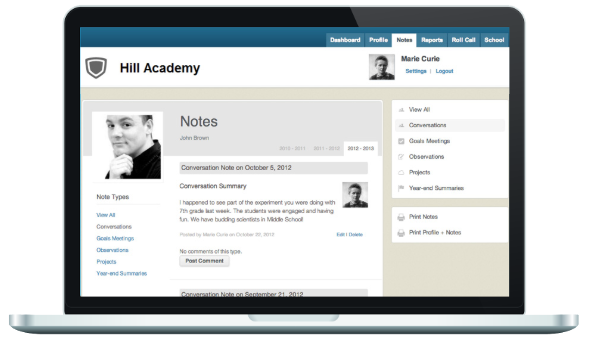 Folio Collaborative: SmartLogic took this educator professional learning project from concept to production in three months. SmartLogic’s work with Brookes Publishing has resulted in a more stable, usable Ages and Stages Questionnaire that’s also easier to build on over time. RedShred helps contractors quickly find and respond to the right government RFP gigs to save them time; the SmartLogic team helped RedShred revamp its user experience. By engaging SmartLogic, Kinglet was able to greatly accelerate the roll out of a major improvement to the user experience in their office-sharing platform. DinnerTime enables families to plan, shop and prepare meals; SmartLogic built the front end of this highly interactive web application that works across desktops, tablets, and smartphones. GiveCorps is a charitable giving platform that facilitates e-commerce transactions and project management; SmartLogic developed their entire application. Our clients love us too; many of them come back to us over and over again to develop new features and new projects. Some of our relationships go back as far as eight years, to a time when we built an iPhone app before the App Store existed.